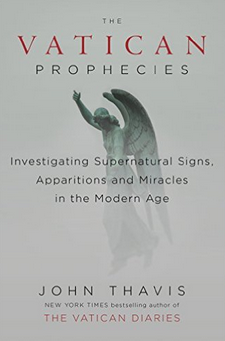 Apocalyptic prophecies and miraculous apparitions are headline-grabbing events that often put the Catholic Church’s concept of “rational faith” at odds with the passion of its more zealous followers. To some, these claims teeter on the edge of absurdity. Others see them as evidence of a private connection with God. For the Vatican, the issue is much more nuanced as each supposed miraculous event could have serious theological and political consequences. In response, the Vatican has developed a highly secretive and complex evaluation system to judge the authenticity of supernatural phenomena. Former journalist John Thavis uses his thirty years’ experience covering the Vatican to shed light on this little-known process, revealing deep internal debates on the power of religious relics, private revelations, exorcisms, and more. Enlightening and accessible to Catholics and non-Catholics alike, the book illustrates the Church’s struggle to balance the tension between traditional beliefs and contemporary skepticism. 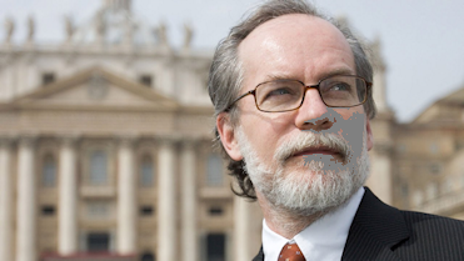 John Thavis is the prizewinning former Rome bureau chief of the Catholic News Service. He has written extensively on religious issues in Europe and the Middle East, has lectured on Vatican affairs in the United States and Europe, and has won awards for his firsthand reporting on the war in the Balkans. In addition to numerous awards for individual excellence and analytical reporting, he has received the St. Francis de Sales Award, the highest honor given by the Catholic press. He lives in Minnesota. At Amazon.co.uk there is a “Look inside” feature for this book that seems to be missing on the American site. By entering “shroud” in the search box you can read almost all the relevant chapter. It quotes John Jackson and Barrie Schwortz at length, and seems a fair assessment of sindonology today. I’m curious what is meant by “Alien Saviors” in the last chapter. One can preview on the American site. When the book comes up after having done a word search on “Turin Shroud”, there’s a hot link off to the right of the screen that shows a truncated sentence containing “shroud” and pertinent page numbers. This appears to be a very interesting book, written by a journalist with a lot of experience. One wonders what he says about canonisation, when only supranormal phenomena, called miracles, are sought when there is interest to canonise a saintly person after his or her death. The Church ignores any healing and curing performed in the life of a saintly person. Some time after the death of Pope John Paul II, Pope Benedict is reported to have said that he always knew that the Polish pontiff was a saint.